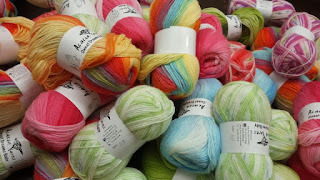 Yarn and Fiber Happenings: Cool Take-Along Projects for a Hot Day at the Beach or a Cool Day in the Air Conditioning! Cool Take-Along Projects for a Hot Day at the Beach or a Cool Day in the Air Conditioning! Whether you are heading to the beach or to your favorite chair in the air conditioning, take along one of these cool projects! Looking for something fun to try that is simple, creative and fun? 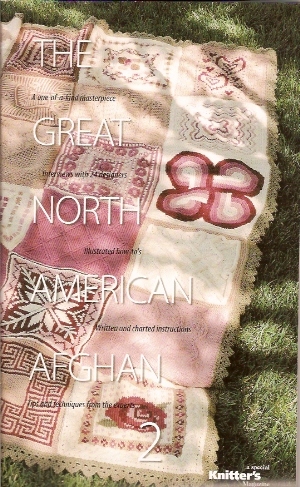 Both the Great North American Afghan 2 and the Great American Afghan books offer wonderful project squares that are worked individually and then join at the end. What a great take-along project! 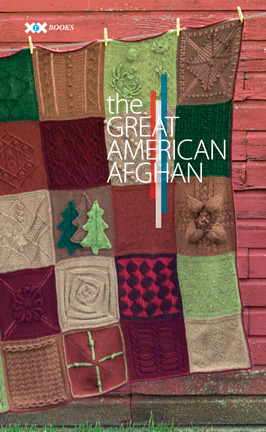 Each kit makes a perfect afghan to cuddle under and to beautify your home! Choose colors that are shown in the design or pick your own to match your flair. Perfect for the gift you can give to anyone! This kit works up easily block by block using unique designs so you never get bored! The hard part is picking which square to create first! Enjoy! 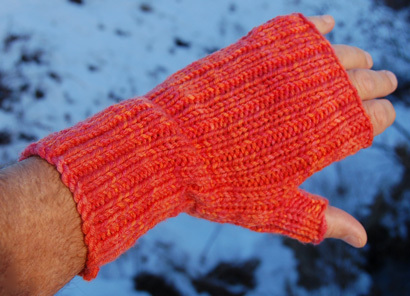 Poppies fingerless mitts are quick, fun and easy to knit, these super warm fingerless mittens come in two ribbed designs; a simple but elegant ribbed design, and a twisted rib version. One skein of Ivy Brambles Superwash Worsted yarn makes these mitts in a couple of hours. 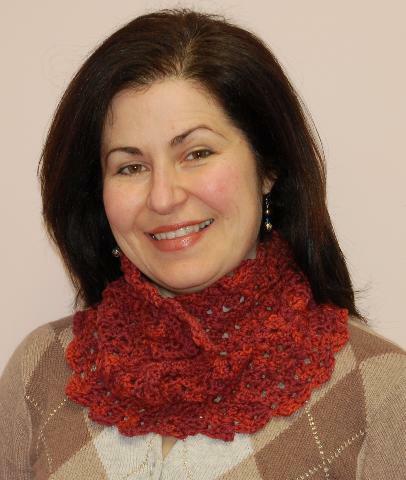 The Lacy Up or Down Crochet Cowl works up quickly and is a simply and fast project! Made from using under a 250 yard skein of worsted weight yarn, this cowl makes gift giving easy as these cowls fit everyone and are adjustable for the wearer. Cowl is shown in Ivy Brambles Superwash yarn in colorway Pomegranate.